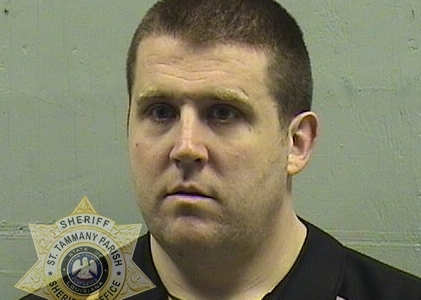 An employee at the St. Tammany Parish Jail was fired and arrested Friday afternoon after it was discovered he forged an inmate’s signature on official documents. On October 7, a Sheriff’s Office employee discovered a discrepancy with an inmate’s signature on a bond form. The deputy who discovered the document came forward and reported the discrepancy to supervisors. An internal investigation was immediately launched to determine if there were any violations of policy and/or criminal conduct. On the afternoon of October 12 (Friday), Kyle Smith, who at the time was employed at the St. Tammany Parish Jail, was interviewed by investigators with the STPSO. During the interview, Smith admitted to forging an inmate’s signature on the form, which ultimately injured agency records. Smith’s employment was immediately terminated and he will be booked into the St. Tammany Parish Jail for one count of L.R.S. 14:132 Injuring Public Records. Smith has been employed at the St. Tammany Parish Jail since September 2010, and was promoted to the rank of corporal in September 2015. The investigation remains open and ongoing and no additional information is available at this time.